If forum page uses Default Page template the sidebar will be the same as it’s on other pages. It may be “Main Sidebar” or “Right Sidebar”… This depends on your theme. If you look attentive you can see that this sidebar is not wrapped between wpForo Top Menu bar and Footer. It takes whole side as regular sidebars. 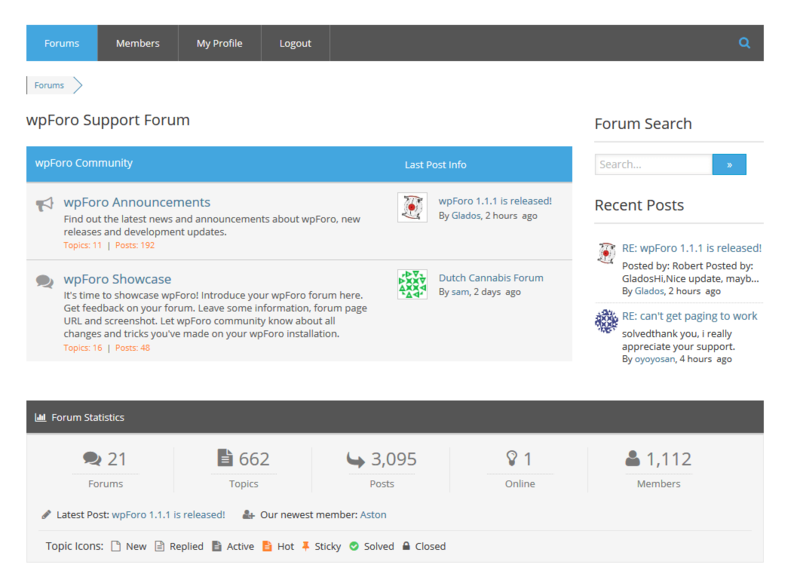 If you want to have forum integrated sidebar (wrapped between Menu bar and Footer) you should use wpForo Sidebar. wpForo comes with its own right (RTL left) sidebar.